What Is Speaking In Tongues, and Is It For Today? No doubt that is a question asked by millions of Christians throughout the centuries. Knowing the answer is vital for maximizing the quality of one’s life as a follower of the Lord Jesus Christ. Why? Because, as a study of Scripture will clearly show, speaking in tongues is the only absolute proof a Christian has that he is born again and guaranteed a parking place in Paradise, i.e., everlasting life (2 Cor. 1:21 and 22; Eph. 1:13 and 14; 1 John 3:24). Speaking in tongues is the only valid external, tangible evidence in the senses realm that the internal, intangible gift of holy spirit was shed abroad in your heart at the moment of your New Birth. Please do not hear me saying that you must speak in tongues in order to be born again, because anyone who adheres to Romans 10:9 is saved, permanently. But speaking in tongues is the vitally important proof that you are forever a child of God. That is why it is called a manifestation of the spirit (1 Cor. 12:7). A “manifestation” is an evidence, a proof of something. In the Bible, speaking in tongues is NEVER called a “gift,” and that distinction is critical. A “gift” is something that you do not have unless someone gives it to you, but a “manifestation” is an evidence of something you already have. A Swiss Army Knife provides the perfect illustration: if someone gives you one, you have one knife with multiple functions contained within it. Ditto for the one gift of holy spirit: it comes with nine ways of utilizing it, and one of them is speaking in tongues. 1 Corinthians 14:5 cannot be more plain: God says that He wants every Christian to speak in tongues. And God does not ask us to do something we cannot do. 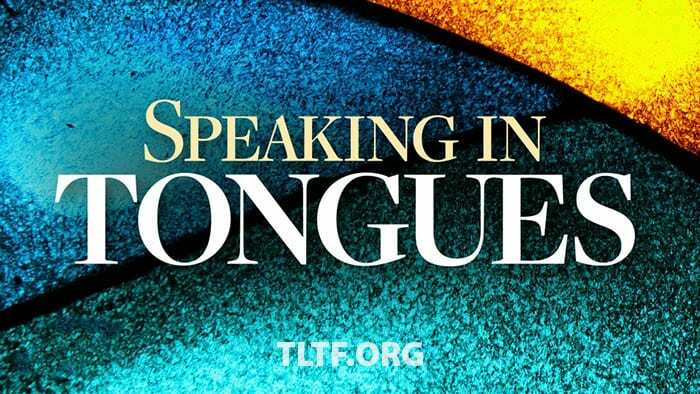 The second most important thing about speaking in tongues is that it vividly illustrates to the believer the most basic principle of the Christian walk, which is trusting the Word of our heavenly Father. It is just like when Peter was in the boat with the other disciples and saw Jesus walking by on the water. He said, “I want to do that,” and Jesus said, “Come on.” If Peter had not stepped out of the boat into the water, he would never have known whether it would hold him up. Likewise, if you do not open your mouth and speak, trusting God to provide the words, you will never know if it will work. The truth is, it cannot fail. Speaking in tongues is also a beautiful way to circumvent the limited vocabulary of our native tongue and tell our Father that we love Him. It is a way to perfectly worship (Phil. 3:3) and praise (1 Cor. 14:16) the Creator, to give thanks well (1 Cor. 14:17), to speak the wonderful works of God (Acts 2:11–KJV), to magnify Him (Acts 10:46–KJV), to edify yourself (1 Cor. 14:4) and to build yourself up in faith (Jude 20).